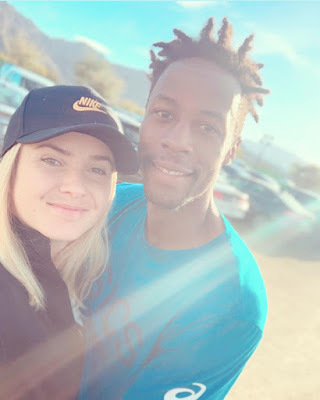 Watch; Tennis couple Gael Monfils and Elina Svitolina dance to Burna boy's YE! Just in case you are a tennis fan who dint know these two were together.. They train together,enter tournaments together,there is even a social media page GEMS Life dedicated to them on Instagram. Watch them choreograph to Nigerian music star Burna boy's YE below..